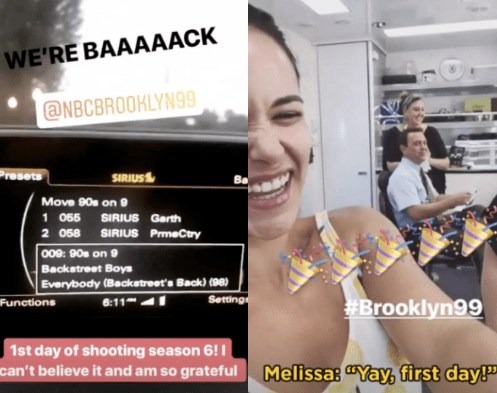 HomeNews‘Brooklyn Nine-Nine’ Has Officially Started Filming Season 6! ‘Brooklyn Nine-Nine’ Has Officially Started Filming Season 6! And the photos have given me new life. It was a sad day for the Nine-Nine (Nine-Nine!) back in May when Fox abruptly pulled the plug on Andy Samberg’s beloved sitcom, Brooklyn Nine-Nine. Fans were outraged and showed up online in droves to support the series and voice their hopes for another network to save it. Thankfully, real-life guardian angel NBC stepped in and gave the show (and all the fans) life again! Well, after an overwhelmingly positive San Diego Comic-Con panel, the gang has returned to set to begin filming season 6 and they were more than happy to share all of the photos from the glorious day! Andy Samberg shared a shot of Jake, Gina (Chelsea Peretti), and Rosa (Stephanie Beatriz) all back in the office! 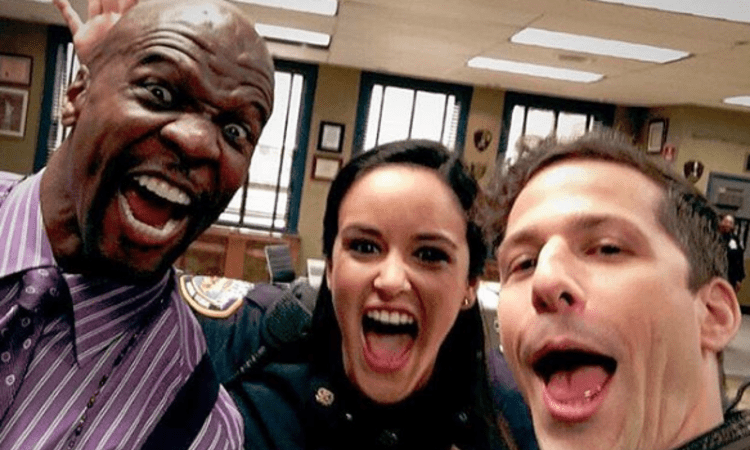 He also posted this adorable shot of him and his TV wife, Melissa Fumero (aka Amy Santiago), and Terry Crews! 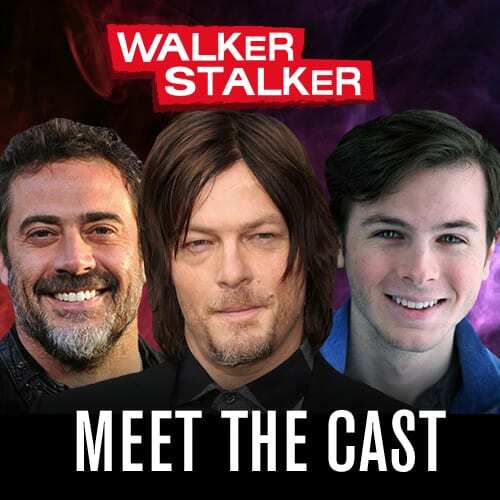 Joe Lo Truglio got into character. And Peretti perched herself right where she belongs at Gina’s desk. She also shared this photo of Stephanie and her extremely extra cup of coffee. It was the perfect day to watch everyone’s Instagram stories. Dirk Blocker and Joel McKinnon had no problem getting back into character. 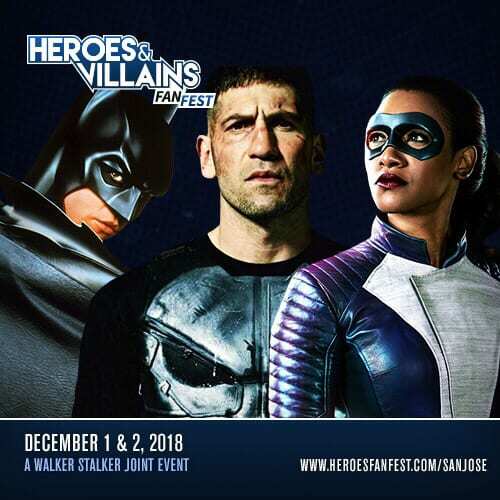 The two will be receiving their own episode this season! And Fumero shared this sweet message to all of the fans who helped make it happen. It may be on a different network but Brooklyn Nine-Nine is staying the same. 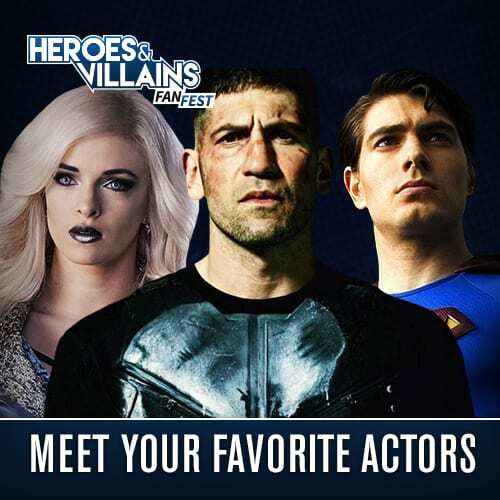 During the panel creator, Dan Goor eased any worries fans might have about NBC wanting to change the sitcom up for their network, saying they don’t want them to make any “substantial changes” to the show. He also said that he and Andy Samberg go way back with the network and “they have our back.” Also, the theme song will stay the same! The Halloween Heist will be back. By far one of the best episodes of every season is the Halloween Heist! While it may be tough to top season 5’s engagement between Jake and Amy, the writing staff is sure going to try! “We have a very good idea for how to do the Halloween Heist,” Goor said. The series will continue to explore Rosa’s sexuality. They also want to tackle a Me Too episode. Last season’s racial profiling episode “Moo Moo” was heavy, but it was handled in the gentle and heartfelt nature fans would expect Nine-Nine to. “Our challenge is to make them feel true to the show and funny, but at the same time give weight to the issue and really explore it in a fair way,” Goor said before saying they hoped to tackle the #metoo movement, but want to make sure they do it well. Jake and Amy will continue to be adorable. The pair got married in the season 5 finale, so fans are left wondering what’s next? “Mostly just, I think, really small, detail-oriented stories about their finances,” Samberg joked. Since Brooklyn Nine-Nine will be a midseason series for NBC, season 6 doesn’t have a premiere date yet, but we will be sure to let you know once it’s announced! For now, go follow all of the Nine-Niners for behind the scenes photos and videos!